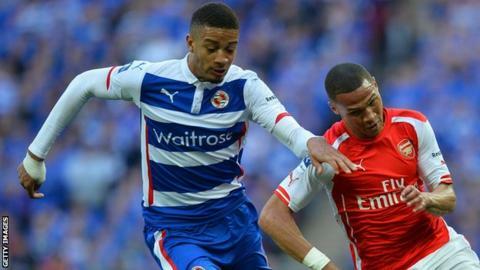 Reading centre-back Michael Hector has signed a new three-year contract with the Championship club. The Jamaican made 49 appearances for the Royals last season as they reached the semi-finals of the FA Cup. "It's a really positive step for me to sign another deal and to know that you're wanted by the manager and the club," Hector told the club website. "I want to play week in, week out again next season and hopefully, as a team, we can improve on last year." The 22-year-old first joined the club in 2009 and made his Royals debut in January 2014. He could make his international debut for Jamaica at the Copa America this summer, having been called up to the squad. "Since I came to the club Michael's performances have improved almost from game to game. For a young defender to show such consistency of performance is great to see," added Reading boss Steve Clarke. "However it was his work day in, day out on the training ground that impressed me the most and has shown me that Michael can have a big future in the game."